The 2013 list identifies 150 colleges (75 public and 75 private) The Princeton Review designates as "Best Values" based on assessments that examined more than 30 data points covering academics, cost, and financial aid. The Company chose the 150 schools from 650 colleges and universities at which it conducted institutional and student surveys for this project in 2011-12. The Princeton Review's "Best Value Colleges" list appears in two free online resources and in a companion book, The Best Value Colleges: The 150 Best-Buy Schools, also released today. "We commend these colleges for their stellar academics and their exceptional affordability as evidenced by their generous financial aid awards or their comparatively low sticker prices—or both," said Princeton Review Senior Vice President and Publisher Robert Franek, lead author of The Best Value Colleges. 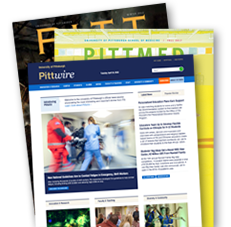 In its profile of Pitt in The Best Value Colleges, The Princeton Review describes the University as “An academic powerhouse” and “one of Pennsylvania’s premier institutions,” and it features a pullout quote—“Being in the middle of everything with the greatest people you can find”—under the heading, “Why Students Love Pitt.” The book’s Pitt profile also praises the University for establishing “a number of fantastic programs that enhance (and encourage) learning beyond the classroom,” including the Outside the Classroom Curriculum program, the Co-Op Engineering Education Program, the “stellar” University Honors College, and PITT ARTS. The Princeton Review has posted its list and profiles of the schools at www.princetonreview.com/best-value-colleges.aspx, and USA TODAY has posted an exclusive "Best Value Colleges" interactive database at a dedicated area on USATODAY.com: http://bestvaluecolleges.usatoday.com. There, users can access detailed information about each college and sort the list by state, tuition, enrollment, and average freshman grant. Founded in 1981, The Princeton Review is a privately held education services company headquartered in Framingham, Mass., and is not affiliated with Princeton University. The Company offers test preparation services, tutoring and admissions resources, online courses, and more than 150 print and digital books published by Random House, Inc.